Olde Town Arvada is fun to explore. 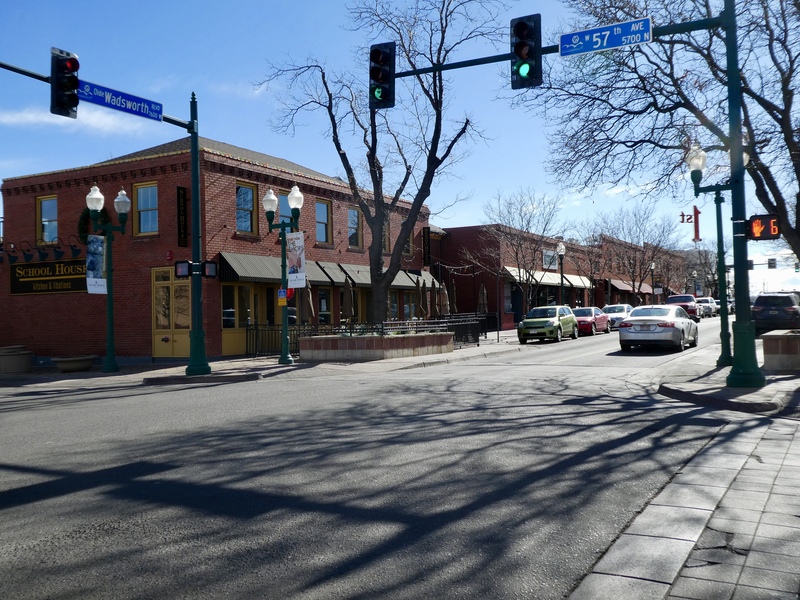 Only a few miles northwest of downtown Denver, Olde Town Arvada is a great place to meet friends, wander, shop, and eat. The plaza here has tables for us to sit and chat, or enjoy a treat from great restaurants and snack shops. Don’t you love to sit outside on sunny spring days. Looking down the street, you will see brick buildings from more than 100 years ago. I like these murals on the Army Navy Surplus store. We are proud of our Colorado history. Let’s explore one of the small shops here. 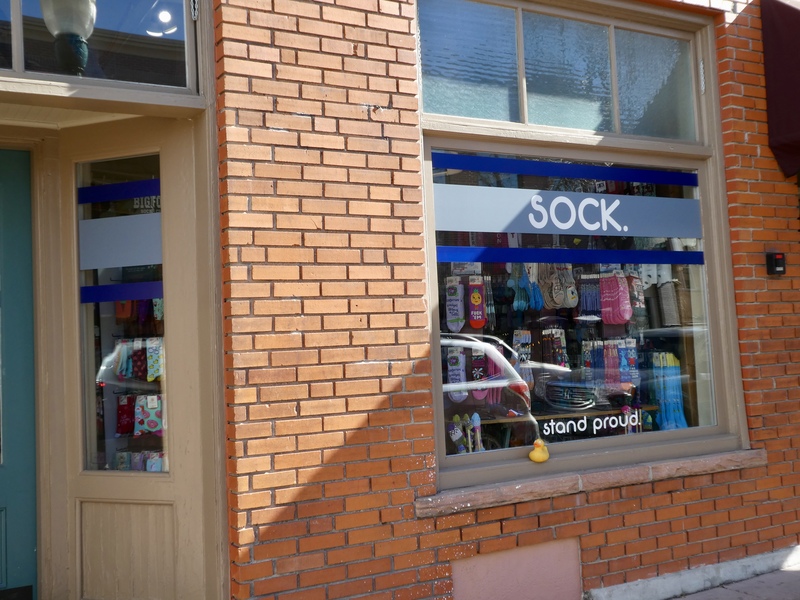 A store devoted to socks. 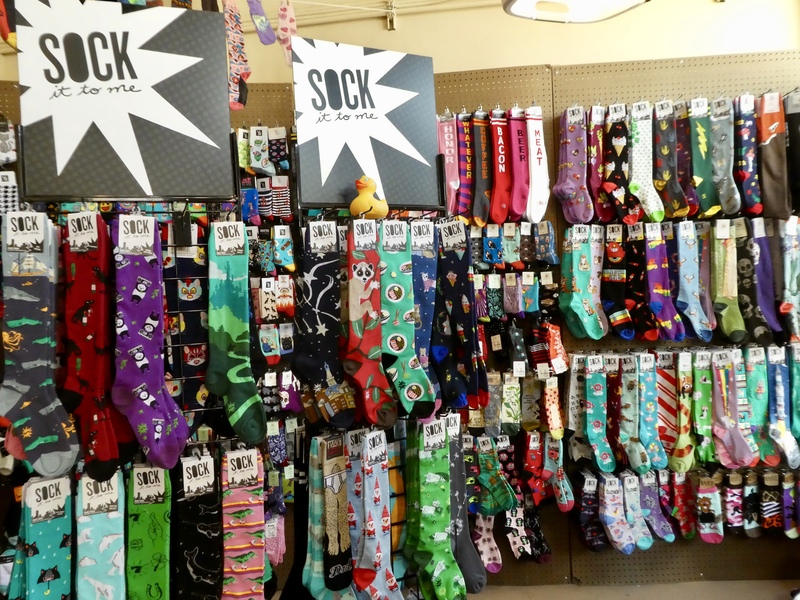 This store is dedicated to socks. 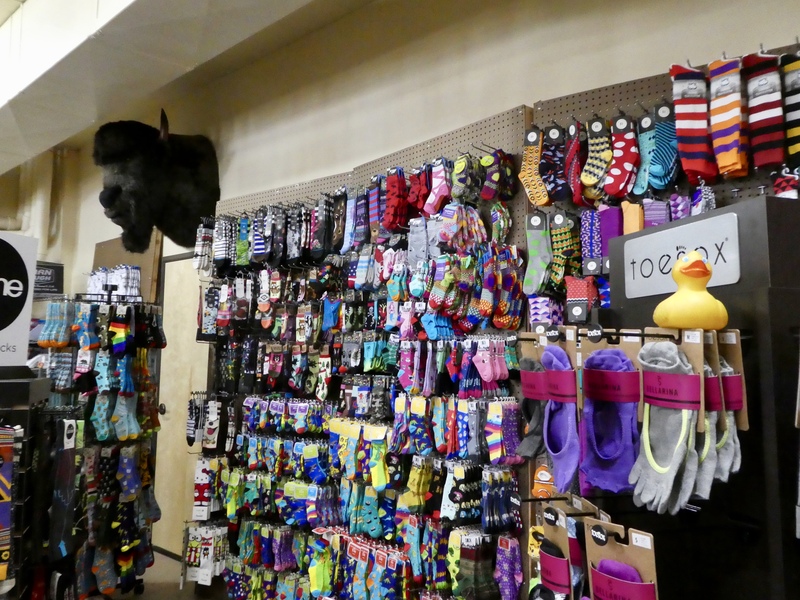 Just so you remember that we are in Colorado, we have a buffalo head in our sock store. I’m sitting on Toe Sox. Almost gloves for feet. And still more socks. You really need to visit this store. Socks of all lengths, colors, designs and more. This really is a fun store and the employees are so nice. After the sock shop we continued wandering. 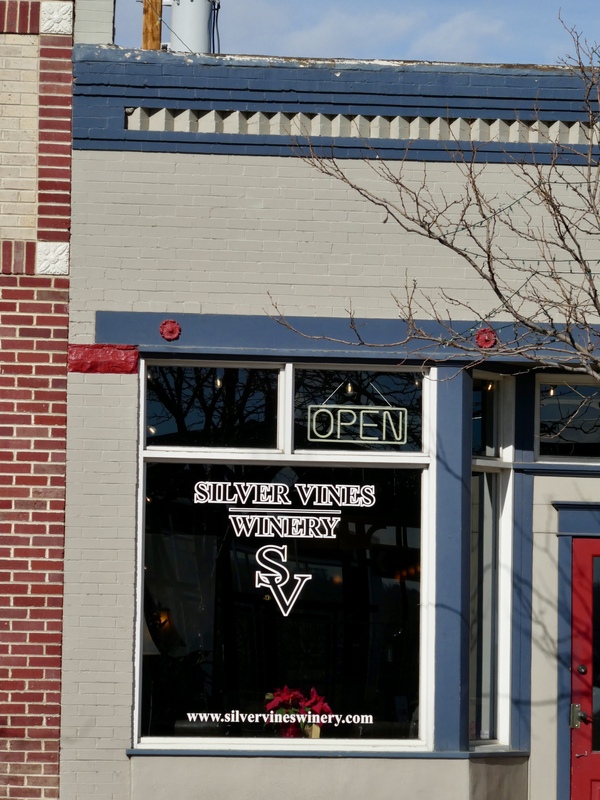 Silver Vines is our winery. We didn’t stop here today, but maybe another day. After all, shouldn’t we support all our local businesses? 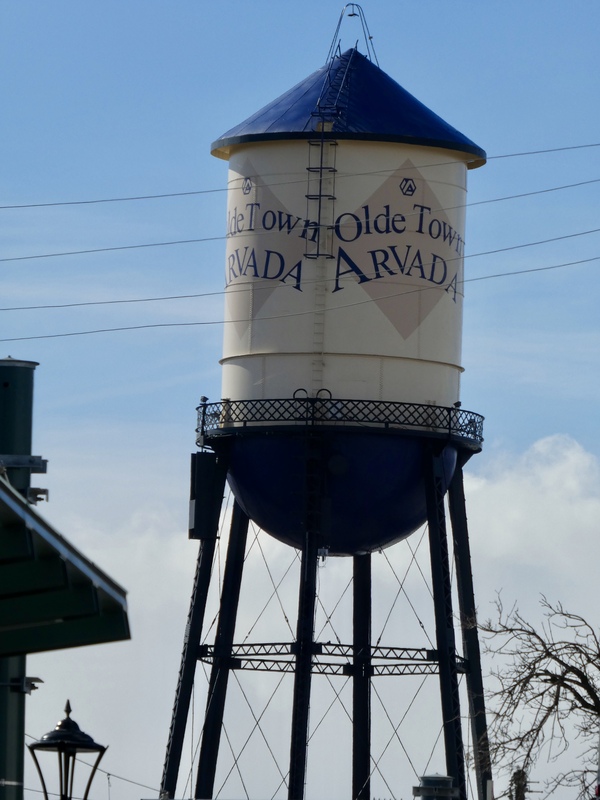 Arvada even has an old water tower. It is just perfect to see a water tower in Olde Town. We are going to visit this coffee shop. It is Global Goods. This group serves coffee and great tea blends. And the pastries… What can I say. I love the muffins. Global helps people from war torn countries. The profits from food and beverages help those in need. 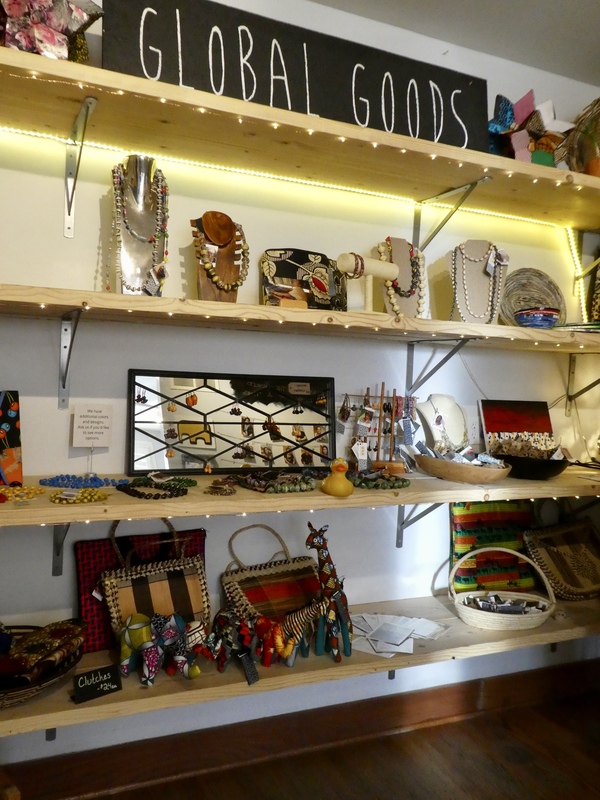 The small gift shop features items made by the victims of war. Those necklaces next to me use beads that are made of paper, usually pages of a magazine. Before ducks, mom spent 3 weeks in Uganda and we have some of these necklaces at home. These pictures on the wall are made by people affected by war. 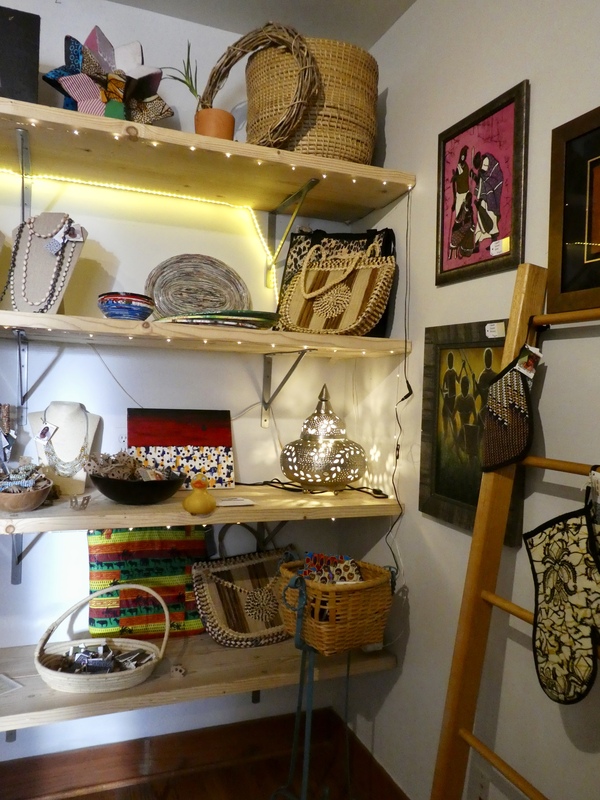 Great baskets and purses. Global Good also operates a thrift store further north, on 88th Avenue. We like helping others and we love this store and the refreshments. We will be back here soon. 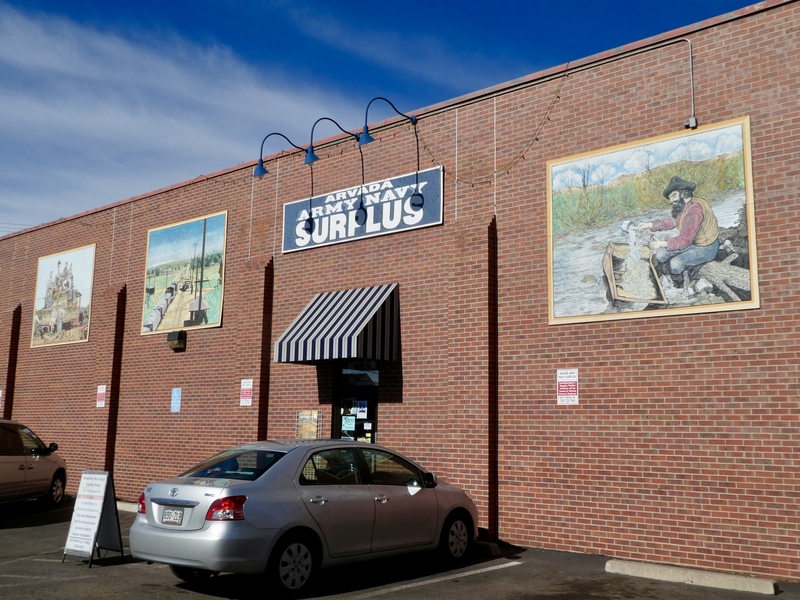 Next time we will show you more of Olde Arvada. It is a great place to explore and eat. Maybe we will see you there soon. This entry was posted in Colorado, Uncategorized and tagged Colorado, Colorado Traveling Ducks, Global Goods, Olde Town Arvada, Silver Vines Winery, Sock shop. Bookmark the permalink. Very interesting, we didn’t even realize that was there. We will have to check it out. 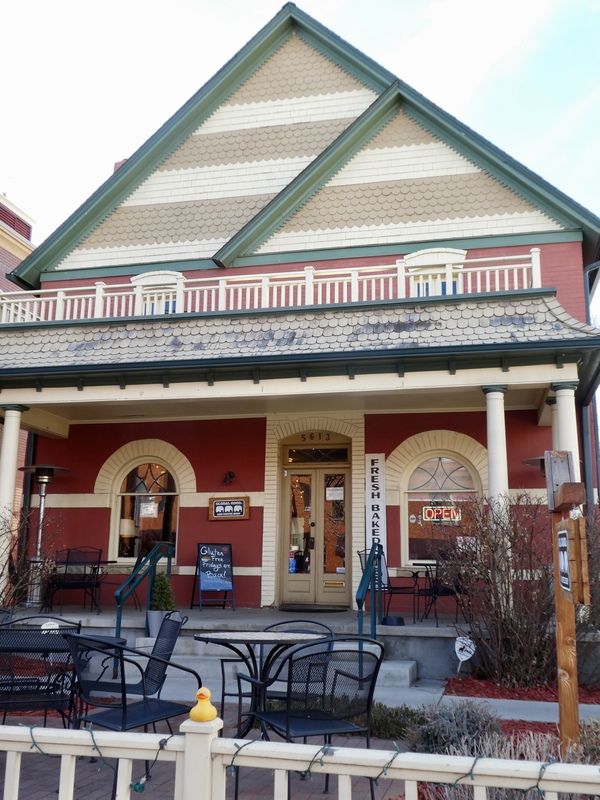 We enjoy wandering around Olde Town Arvada. Always something new and interesting. Good restaurants here. Like LivingtheQLife, I didn’t know it was there either. Looks like a fun place to spend the day. Great place to wander. They also have some fun festivals during the year. Hope you enjoy Olde Town Arvada soon. What a great place to wander around, with all those cute shops. I love fun socks and they used to be popular here, but we don’t see them so much any more. I would definitely buy a pair or two. It is a great place to spend the day. The sock shop was new to me this time, and we loved it. 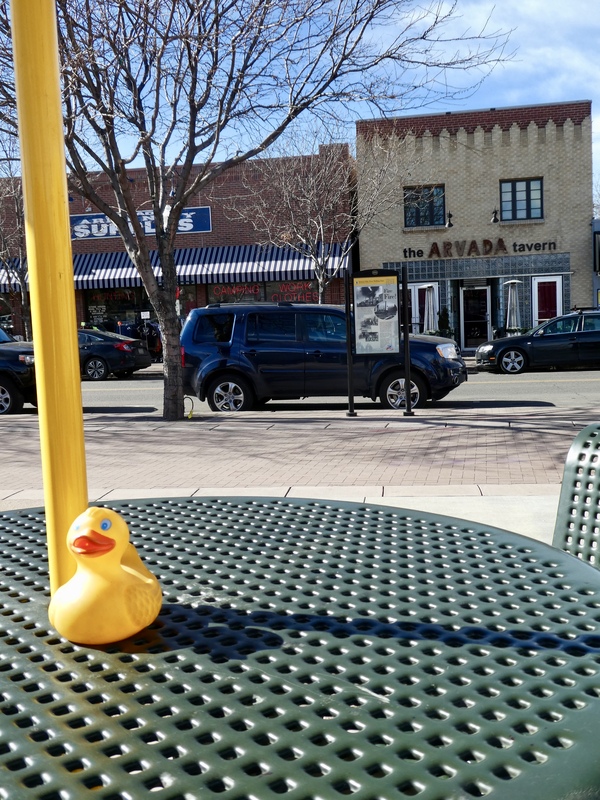 Olde Town Arvada is a great place to wander, shop and eat. It is a fun place to visit. We always find something new when we go. And good restaurants.